Father Baltic VDL is on the eve of an international showjumping career at the highest level. 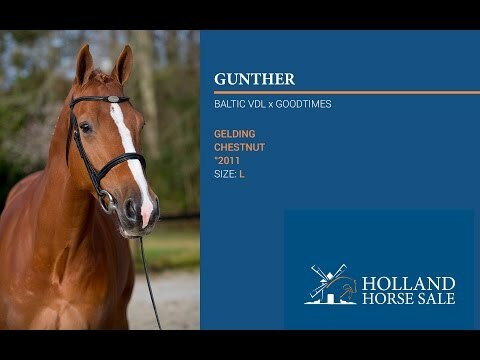 And with this six year old Gunther you're given the chance to get your hands on one of his very talented offspring. Gunther's dam Bieni represents the Kieni damline and acted herself at 1.30m level. Grandmother Sieni is halfsister to Valentino, who's performing at 1.40 level. What is striking about Gunther himself is his consistency. Always well balanced inbetween jumps and jumping them in excellent form every time. Who wouldn't want to fill their stables with uncomplicated horses like this one?